Honk! Honk! Beep! Beep! Coming Through! Look Who's turning 2 (or 3 or 4)! 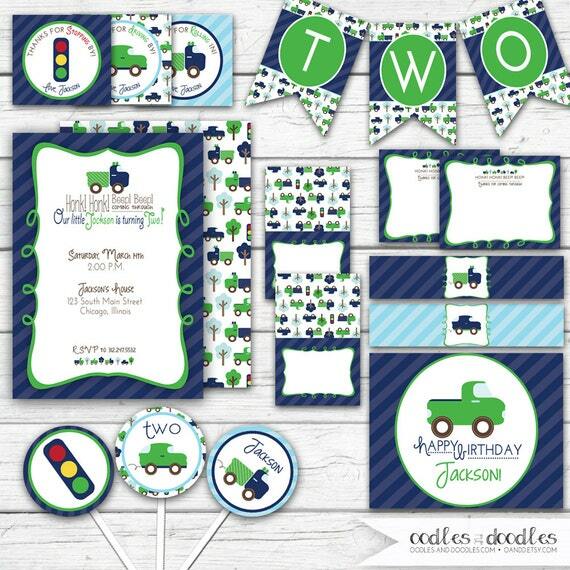 This adorable Cars and Trucks Birthday theme is perfect for your little birthday guy on the move and can be customized for any age. 2. Flat Thank You Notes (4.25 x 5.5) that say "HONK! HONK! BEEP! BEEP! Thanks for coming through!" 2. Files will be personalized as described & emailed to your Etsy registered email address.